What's your favourite Unreal Software game (besides CS2D)? Poll: What's your favourite non-CS2D Unreal Software game? I'm not including CS2D in the poll because it would be way too biased as everyone that's registered here came because of that game. 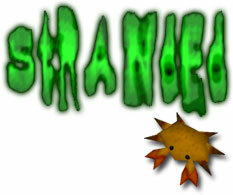 So yeah, what's your favourite non-CS2D Unreal Software game? I really can't rate anything but mini golf madness because I never figured out how to play them and mini golf madness wasn't in English. I tried all of them but liked Stranded II more. I prefer CC because it's great for times when you don't have internet. Also, damn I love those CC mods. (06-07-2017, 11:08 PM)SeanHoca Wrote: I prefer CC because it's great for times when you don't have internet. I wish there was a dedicated server for it. We could host 24/7 and play together. (06-07-2017, 11:12 PM)BcY Wrote: I wish there was a dedicated server for it. We could host 24/7 and play together. Couldn't agree more. Maybe in the future? It's looking impossible, unfortunately. :/ DC already quit working on his old games. He's only working on Stranded III and CS2D. He's aiming for the future for sure. @BcY: In theory, it is actually possible to write a dedicated binary server in your own however that needs lots of tricks to get desired results which is a waste of time. What's really painful is the reserve engineering process considering Carnage Contest has a simple network stack as it would surely lead to issues when you host a dedicated server because it needs at least one player to join. 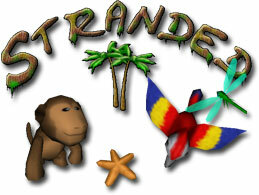 Letting this aside, the most favourite game(s) are Stranded series (I & II). They have a unique atmosphere, game-plot and I kinda like the mechanics. The utmost Stranded II is by far the most favourite game I have ever played. Sadly, the code-base has DirectX as the main graphics module which makes porting to Linux systems impossible. At the very least, there's WINE compatibility layer to translate all the function system calls from Windows API to POSIX however it'd lead to great performance loss.